New Forest and local health organisations working within the inspiring landscapes of the National Park are looking at how closer collaboration could help improve people’s health and wellbeing. 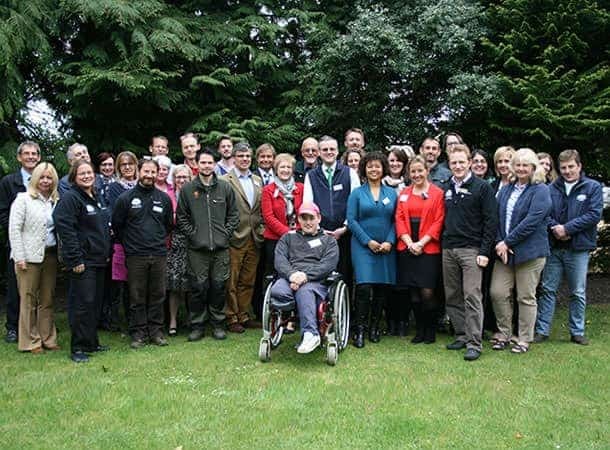 A workshop, hosted by the New Forest National Park Authority on 28 April 2015, brought together representatives from NHS groups, Forest organisations and local charities to focus on how to work together to enhance people’s physical and mental wellbeing and prevent chronic illness, whilst helping to maintain the special qualities of the National Park. The delegates heard from a number of inspiring speakers, leading successful work on the ‘Natural Health Service’ at a national and international level. For example a more joined-up approach could see more GPs ‘prescribe’ patients to join a guided healthy walk or take part in conservation work to help them alleviate stress, recover from illness, improve physical fitness or overcome mental health problems. The workshop included senior leaders from NHS West Hampshire Clinical Commissioning Group (CCG), New Forest District Council, Hampshire County Council, the Forestry Commission, as well as local charities and community groups. Dr Tim Thurston, Clinical Executive Director for Innovations and Research Governance at West Hampshire CCG, who is also a Senior Partner at New Milton Health Centre in the New Forest, said: ‘Everybody seems excited by the opportunities for joint working across organisations following this event. If you look at the Five-Year Forward View for the NHS, prevention is one of the key pillars to support the sustainability of our healthcare system. Dave Yates, chief executive of New Forest District Council, said: ‘Many people were clearly inspired by the day’s speakers and it was wonderful to see so many people there. Other organisations who attended the workshop included Southern Health NHS Foundation Trust, National Parks England, National Trust, Alzheimer’s Society, New Forest Dementia Friendly Communities, Lymington Dementia Action Group, Hampshire and Isle of Wight Wildlife Trust, Sustrans, Hampshire Art for Recreation and Therapy, UK Youth Avon Tyrrell Activities Centre and Learning through Landscapes.